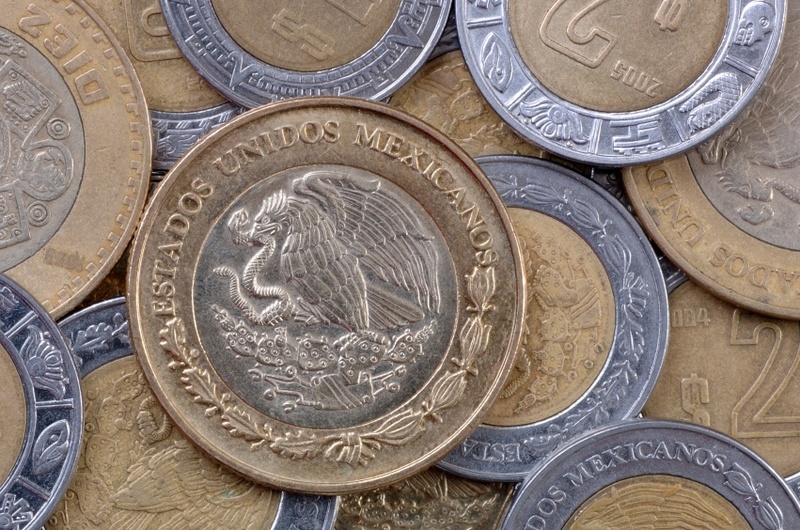 This week we’re shining a light on the currency used in Mexico – the peso. As the third most traded currency in the Americas, understanding the peso is important, especially considering the amount of trips to Mexico that Canadian’s take! The peso (weight in English) was first used in Mexico during the period of Spanish colonial rule, when eight-real coins were issued. These ‘pieces of eight’ were well known across the world during the height of the Spanish Empire and are commonly featured as the object of pirates’ lust in popular culture. Following Mexico’s independence in 1821, the peso continued to be used with the piece of eight remaining the largest coin. Paper money was also introduced, and soon the peso was divided into centavos (cents) for even smaller coins. Both the gold and silver content of the coins was reduced starting near the beginning of the 20th century. The peso and the Mexican economy stayed relatively stable throughout most of the 1900’s. However, the late 70’s brought a crippling oil crisis and would later cause Mexico to default on their debt. 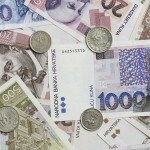 In response to this, the government introduced the nuevo peso in 1993. To counter the high inflation, the new peso was worth 1000x the previous iteration. 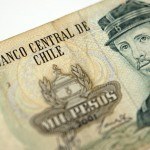 In 1996, the ‘nuevo’ was dropped from the name and the currency was once more referred to simply as the peso. 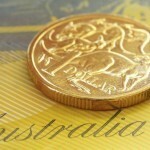 It kept the same currency code while coins and banknotes were more or less identical except for the name. Today, the peso is one of the most traded currencies in the world, behind only the US dollar and Canadian dollar in this hemisphere. Various series of banknotes have been issued in Mexico since independence. Today, the relevant ones are series D and series F. Series D was introduced in 1996 and is essentially the same as series C but with some small changes to the text (such as dropping the ‘nuevo’). Famous Mexicans are featured on the front, including general Ignacio Zaragoza (who defeated French forces at the Battle of Puebla), Nezahualcoyotl (a philosopher and ruler from pre-Columbian times), José María Morelos (one of the leaders of the independence movement against the Spanish), among others. The reverse generally features Mexican landmarks, places, or objects such as Puebla Cathedral, the Aztec god Xochipilli, and many more. In 2006, a new series of notes was introduced under the moniker ‘series F’ (don’t ask what happened to ‘E’). The portraits were mostly the same except for painter Diego Rivera replacing Ignacio Zaragoza on the $500 bill. The back of the notes, on the other hand, featured completely new designs ranging from the central plaza of Tenochtitlan to the aqueduct of Morelia. In Mexico, like much of the world, coins were initially used much more extensively than notes. Today, all coins feature the state title and coat of arms on the front while depicting various famous people or designs on the reverse. Small (under 50¢) and large denomination coins are not popular and are rarely seen. Since the late 1990’s, the MXN has generally floated between 9-15 MXN to 1 USD. In the last 10 years, the highest value the MXN reached relative to the USD was 9.946 to 1. 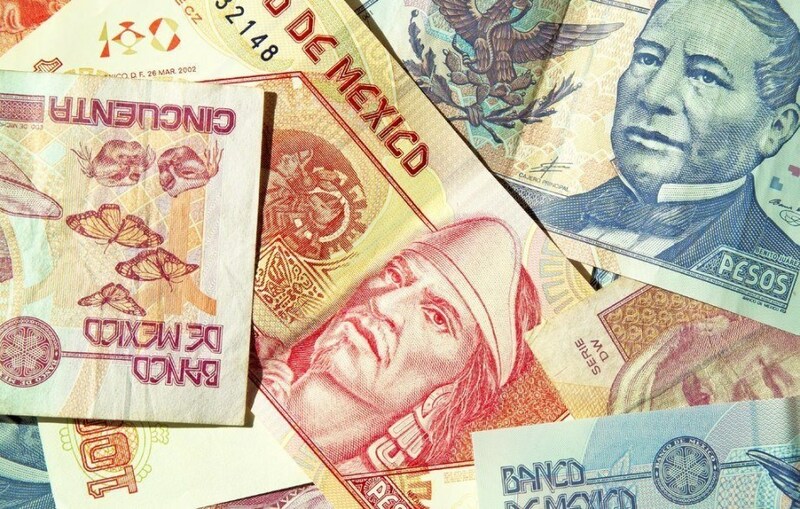 The Global Financial Crisis in 2008 hurt the Mexican economy and currency greatly, and the value of the MXN has still not returned to pre-crisis levels. The value did increase from 15:1 lows in 2008 and stayed generally around the 11.5-14 to 1 mark between 2009 and 2014. Recently, the strong USD and other domestic and international economic conditions have seen the MXN hit all time relative lows. The MXN fell to 15.65 to 1 USD on March 10, 2015 and it hasn’t improved a whole lot since. Since the crisis and introduction of the nuevo peso in the mid 90’s, the Mexican economy had been one of the most stable and fastest growing in Latin America. However, the Global Financial Crisis hit the country hard, with GDP contracting over 6%. Tourism is a huge industry in Mexico and the service sector overall constitutes about 70% of the Mexican economy. In addition, the banking system and stock market are also strong, though the former is heavily reliant on foreign investment. Mexico’s industrial sector is responsible for about 25% of GDP but almost 50% of export revenue. Electronics, vehicle manufacturing (especially among Detroit’s ‘big three’), and oil (Mexico is the 6th largest producer in the world) make up some of the major components of Mexican industry. Lastly, though agriculture has a rich history in Mexico, it is worth less than 4% of the country’s GDP and continues to decline. Though the Mexican economy is large, there are persistent, unresolved issues. High poverty levels and income disparity are some of the most important. The income gap is one of the largest in the region though there are signs that this is slowly improving. The Mexican Drug War continues to impact the economy especially in border regions and other trafficking corridors – in addition to having an effect on tourism. The Mexican peso and economy are among the most important in the Americas and that doesn’t look to be changing anytime soon. However, even with the relative growth since the 90’s, there are many problems throughout the country – from drug violence to the large income gap. Despite this, Mexico has a bright culture and remains one of the world’s most popular tourist destinations. For a broader understanding of Mexican history and culture check out our Country of the Week profile. For information about traveling to Mexico then be sure to follow our Travel Guide.